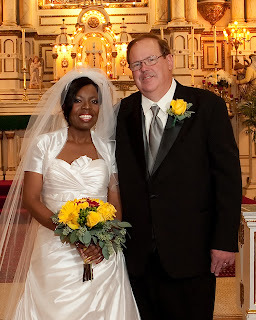 Irma and Dennis hired You're The Bride on Valentine's Day earlier this year for our Day-of Coordination service. Their wedding took place at St. Josaphat Catholic Church in Detroit. This is one of the most beautiful churches I have seen in a long time, probably because all of my weddings this summer have been outside. It has beautiful architecture and history! Jason from Ikonic Images filmed the ceremony for the couple. Irma kept Becca and I in suspense as she arrived later than she planned. Of course Dennis will never let her live that one down! Let me tell you she was worth the wait! 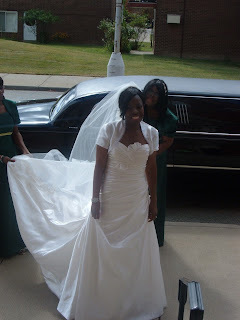 Irma looked drop dead gorgeous when she stepped out of her limo. I was so excited to finally see her as a bride! Prior to the ceremony Becca, used her skills with a little dental floss from our emergency kit to tie the pew bows onto the pews. The pews were super thick and the clips that the florist supplied on the bows would just not fit around the pews. Weber's Floral provided the beautiful flowers for the day. It was a very windy day for a wedding but Irma and Dennis headed down to Belle Isle with Trillium Imaging after some shots at the church. A small luncheon reception of about 46 guests took place at TPC Michigan Golf Club in Dearborn. It was a lovely afternoon enjoyed by all guests. The food at this venue is amazing and we even had baked potatoes with all the fixings. They were delicious! I am keeping this place in mind as its the perfect setting for smaller weddings and showers. The highlight of the afternoon was having singer Kimberly Fairchild serenade the guests while they enjoyed their lunch. 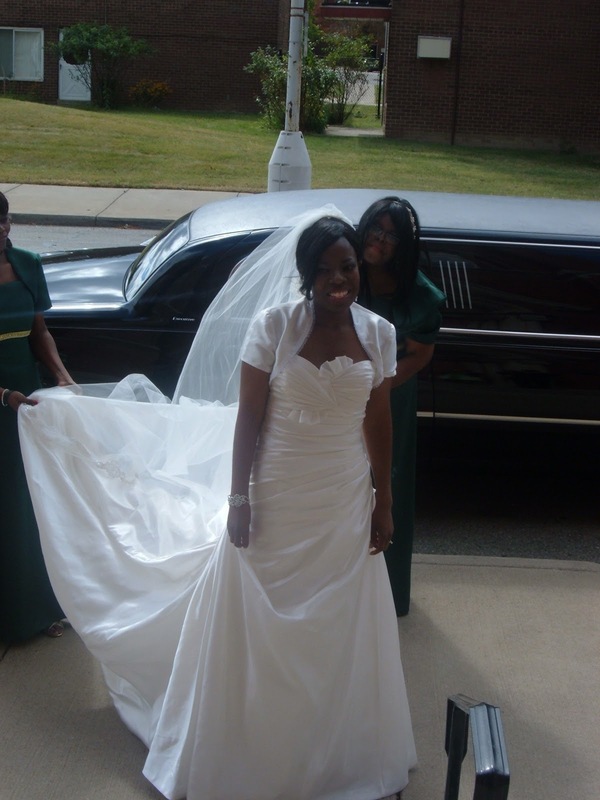 I was able to arrange her services 2 days before the wedding. I am so glad she was available as she was definitely a special treat! The bride and groom are still singing her praises. We also can't forget guitarist Tyler Vess. He is a dedicated vendor I must say as he went home twice before the reception started to get a better sound system. The couple honeymooned in tropical Jamaica and met with me last weekend to order wedding thank you cards and drop off her dress for gown cleaning and preservation. 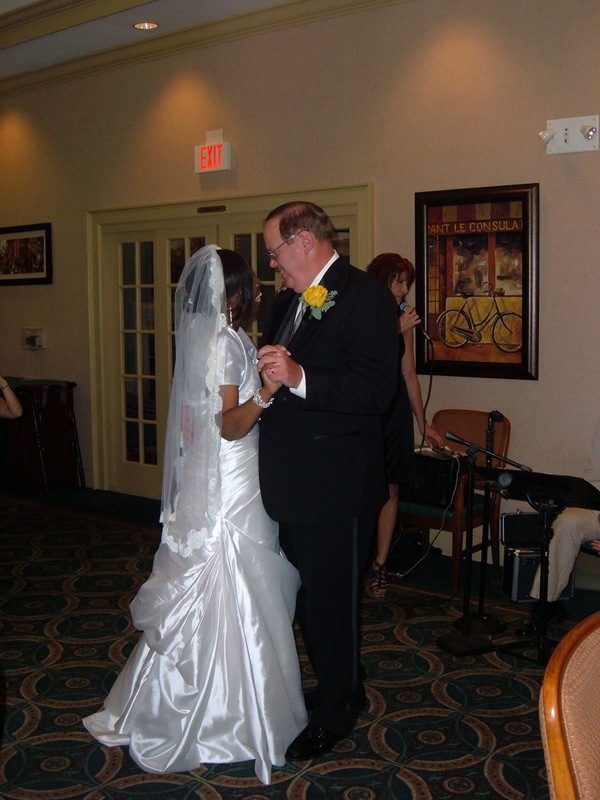 Thanks Irma and Dennis for allowing us to share in your special day! Watch out for unexpected wedding costs! 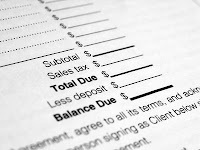 These days, everybody seems to be on a budget, so what could be worse that having an unexpected bill come your way on the day of. Unfortunately, many brides run into this same problem. 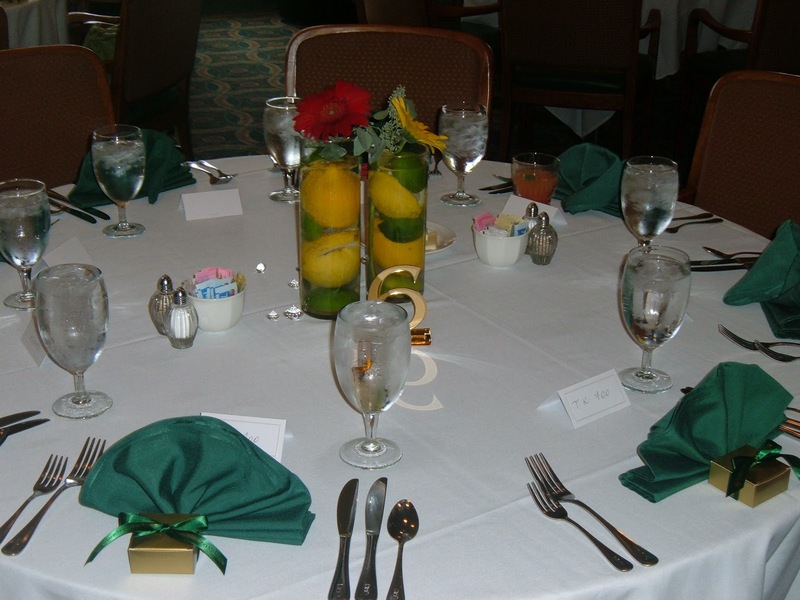 One of the biggest unplanned expenses of a wedding comes in gratuities. This is because many couples think that the "service charge" is a tip for the event staff when it's actually an additional fee that the catering halls charge. But if the service charge isn't the gratuity charge, what is if for? 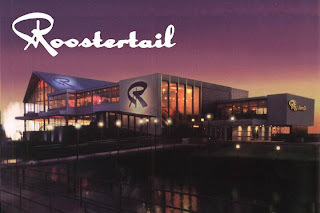 To cover their own cost for hiring servers. The cost of this gratuity is typically 15 to 20 percent of the event's total food and drink fee. You can avoid this unknown fee by asking up front. Once you get the proposed fee, add the service charge percentage so it's already accounted for before the event. 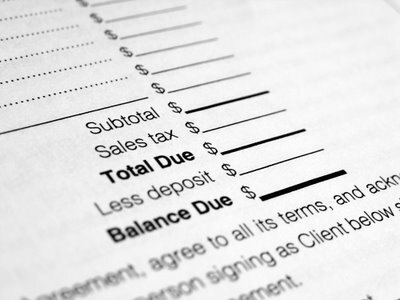 The last thing you want is to get hit with an unexpectedly huge bill that breaks the bank. Did you know that the custom of a bridal shower is said to have originated in Holland? Legend has it that one man refused to provide the then-essential dowry for his daughter because he didn't approve of the marriage. The bride-to-be's friends then banded together to provide the dowry by 'showering' her with gifts. Thus the Bridal shower was born. 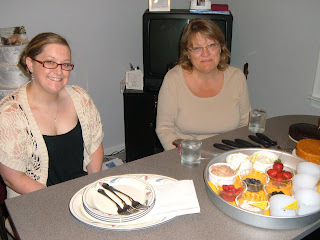 Today it is custom to have a bridal shower for close friends and family to come together to share in the celebration of a couples decision to be married. And, of course, to shower the couple with gifts. However, don't become overwhelmed when thinking of who to invite to the shower. Normally only the closest friends and family members need to be included. This is because the shower is meant to be an intimate time. Now if you feel the need to invite every woman on your guest list, that is fine too. It just depends on what is right for you. 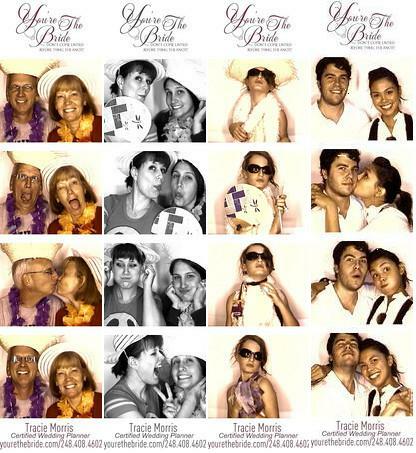 Would you like to rent our photobooth for added fun at your wedding reception or any event? Mention that you read about this special offer on our blog or facebook! Regular price is $850 but $800 with discount. Offer available for a limited time only . Call us and book it today! 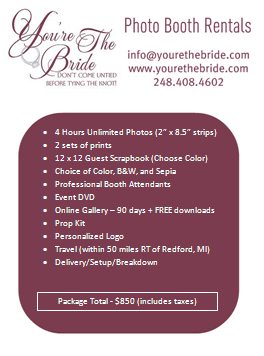 Brides just like you from around the metro Detroit area voted at theKnot.com for their favorite wedding venues. The votes are in, and here are the top 10 wedding and reception venues. I have to say my favorite on this list is the Yacht ! It was a fabulous wedding for my clients Sarah and Patrick who will celebrate their third anniversary on September 29th! It was a great party that I will never forget! 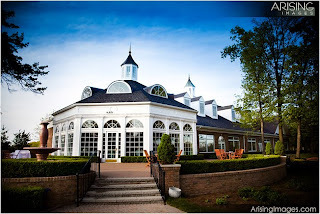 Cherry Creek is as well a beautiful setting and I have done a few weddings there. 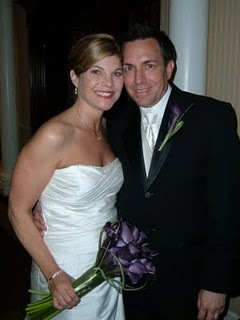 I am looking forward to our 10-10-10 wedding for my bride Nicole at Plymouth Manor. 1) The Cherry Creek Golf Club and Banquet Center in Shelby Twp. Are you considering having a theme wedding but don't really know where to start? How about having an Alice in wonderland theme wedding. This these is perfect because it is both whimsical and elegant at the same time. For your wedding favors, you can have personalized tea bags or tea cups. If you are a wedding/event professional don't forget about the upcoming NACE meeting on October 20th that is going to feature this theme. I can't wait to see it!! 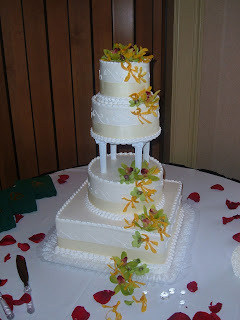 Hope you two had a great first year of marriage and are doing something special to celebrate! 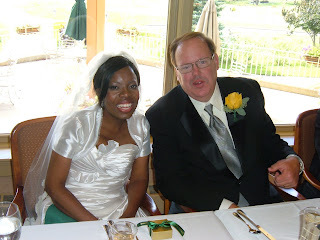 Click the link below to see more about this couple's wonderful Northville Hills Golf Club wedding last September 4th! You're The Bride was there to coordinate the day. 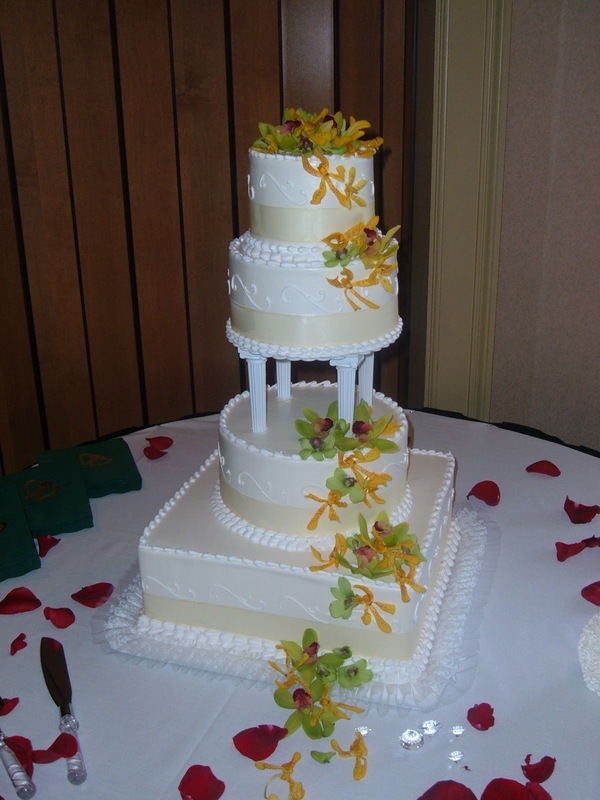 During the first half of 2010, the average wedding cost $23,867 nationwide, not including the honeymoon, according to market research firm The Wedding Report. That’s a 22% increase from 2009’s average of $19,581. While inflation can account for a little more than 1% of that increase, the other 20% comes simply from wanting everything to be bigger and better. And sure, all the extravagant wedding shows don't help a brides lust for the "over the top" wedding. But in reality, the over the top weddings you see on the TV can cost over $1,000,000. Yes, that would be a whopping million dollars dropped for one night of your life. You can still have the luxurious wedding of your dreams. Here are some inexpensive, yet luxurious additions to think about when planning your wedding. Lighting- Consider adding some accent lighting as a part of your overall look. This will immediately give your venue a 'face-life' and add some serious drama to your walls. 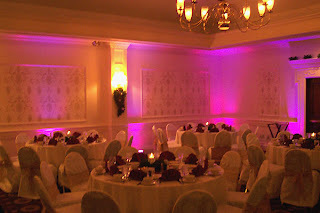 You're The Bride has the ability to set up accent lights around the walls of your venue. Give us a call for a custom quote! Invitations- pair a muted metallic with a pop of color. The contrast will pop and give off an upscale feel. Also, when adding things to the invitation, always remember to order everything first, a reprint is ALWAYS more expensive. Check out our 40% off invitations by our Birchcraft Studios brand. 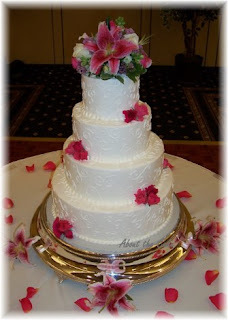 Cake- Consider using fresh flowers on your cake instead of sugar, butter-cream, or gum paste. 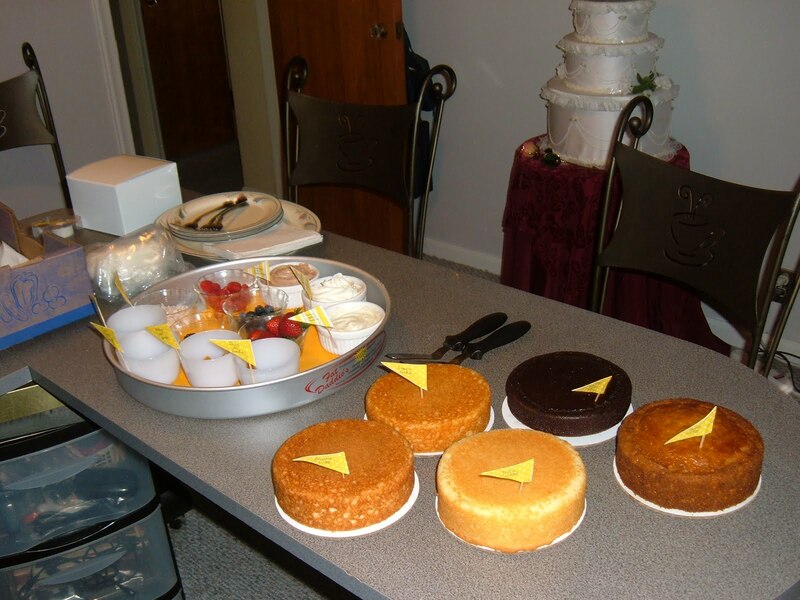 this will significantly cut the price down and yet your cake will still look fabulous. Place cards- By printing the guests names on a large, nice paper and display these in a nice frame. And if you were planning on making your place cards anyway, you are saving yourself time and money in the long run. Check out our placecards by Carlson Craft. 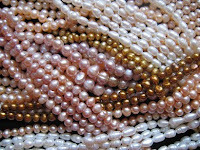 Crystals and Pearls- If you have this type of elegance on the mind, consider turning to plastic. 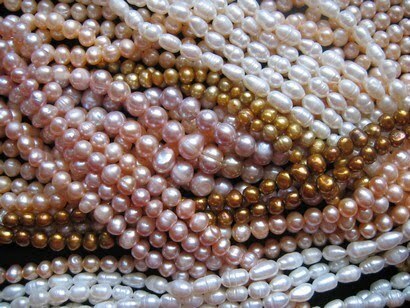 Your guests will not likely notice that the pearls and crystals that adorn the room are in fact plastic. 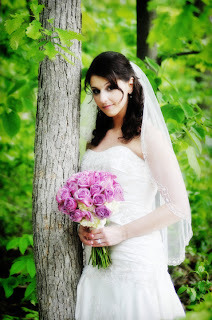 Kristyn from Castle Video just sent me the video clip from Irene's wedding day on May 15th. Check out this Greek Goddess ! She is absolutely stunning ! You're The Bride was there to coordinate the day! Amanda Williams took this amazing picture. If you still need a videographer or photographer call these ladies as they will make your day extra special. Cake tasting and dress shopping for my bride-to-be! We also looked at save-the-dates and invitations at my studio before we headed over to Le Salon in Royal Oak. 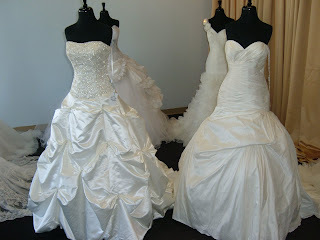 Alexis, the owner, greeted us with a smile and a wonderful couture private experience for Bethany to try on dresses. There was nobody else in the store but us! 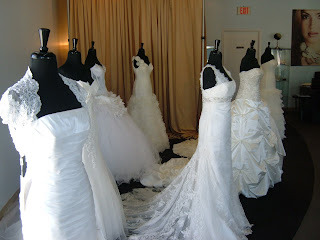 Brides this is the way to shop!! Why go to an overcrowded salon when you can have a fabulous one on one experience with LeSalon. Call Alexis for an appointment today you won't regret it. You may be wondering about price but don't because although she is giving her brides a couture experience she has dresses to fit all price points. Just because you are on a budget doesn't mean you shouldn't be able to be treated like a princess while prepping for your big day!! The bride and her Mom found You're The Bride on weddingwire.com and have booked me for my full-service. In just a few short weeks I have already accomplished so much and am having fun working with them. 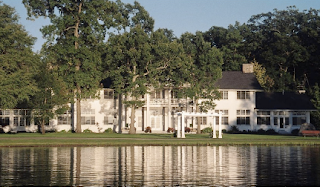 I am looking forward to Bethany and Chris' wedding on May 7th in my hometown of Lewiston, MI to take place at Garland Golf Resort. It's going to be super fabulous!! !